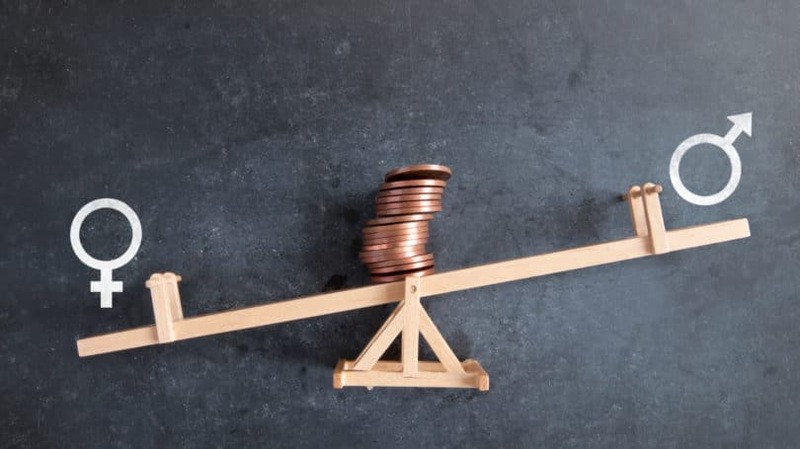 The Gender Wage Gap - Do Men Really Earn More Than Women? It’s no big secret that men, as a group, earn more than women. A report from the U.S. Census Bureau shows that in 2016, women working full-time and year-round earned only 80% as much as full-time male workers. The average difference in their yearly incomes added up to a little more than $10,000. This difference is often referred to as the gender wage gap or gender pay gap. There’s a lot of disagreement about what causes the wage gap and what, if anything, should be done to close it. Right-leaning politicians and social scientists often claim that women earn less primarily because they choose to work in different fields and spend more time caring for children. To them, this is just a matter of personal preference, not a problem to be solved. By contrast, those on the left point to the gender pay gap as proof that even in the 21st century, men and women still aren’t really equals. What others call “choices,” they see as social norms that are holding women back. And no matter what’s at the root of it, they argue, the fact that women earn less than men — and consequently are more likely to live in poverty — is a problem in and of itself. There’s something to be said for both sides. The gender wage gap isn’t simply a matter of outright discrimination, but it isn’t solely a matter of choice, either. Its causes are complex, and understanding them is key to figuring out how to make the workplace work better — for men as well as women. Part of the problem with discussing the gender wage gap is that sources don’t even agree on how big it is. The numbers vary depending on how you measure men’s and women’s earnings. You get different results if you count pay by the year or by the hour, if you look at all fields together or each one separately, and if you control for factors such as experience and education. The most commonly cited figure is that women earn around $0.80 for each dollar men earn. This is in line with the findings from the Census Bureau, based on wages for all full-time workers across the country. The Institute for Women’s Policy Research (IWPR) found a similar number when comparing weekly wages; women earned an average of $749 a week in 2016, compared to $915 for men — about 82% as much. However, others claim that both these numbers are way too high. An analysis by PayScale found that when you look at men and women working in the same job, with similar levels of experience, the wage gap is much smaller. For instance, female software developers make about 96% as much as male ones, and female elementary school teachers earn 99% as much as male teachers. Work Hours. According to the 2017 Census Bureau report, women who work full-time and year-round earn 80% as much as their male counterparts. However, if you look at all workers, not just full-time workers, the gap increases. Data from the Census Bureau shows that in 2016, the median yearly income for all working women in America — part-time as well as full-time — was only 64% as high as the median for men. Age. Both men and women tend to earn more as they grow older and gain work experience. However, women’s earnings don’t keep pace with men’s as they age. Figures from the Bureau of Labor Statistics show that among workers aged 16 to 24, women earn a median of $545 a week, while men earn $563 — a gap of just over 3%. However, this gap increases to 12% for workers aged 24 to 34, 20% for ages 35 to 44, and 24% for ages 45 to 54. After age 55, earnings start to drop for both sexes, resulting in a gap of 25% for workers over 55. Race. The pay gap is also typically larger for women of color than it is for white women. A 2017 IWPR fact sheet shows that compared to white men, white women earn around 79% as much, African-American women earn 63% as much, and Latina women earn 54% as much. Only Asian-American women did better than their white counterparts, earning 87% as much as white men. However, when you compare women to men of the same ethnicity, the picture looks different. African-American women take the lead, earning 88% as much as African-American men. Latina women earn 84% as much as Latino men, and Asian women earn only 77% as much as Asian men. Location. The wage gap also varies across different parts of the country. A map drawn up by the American Association of University Women (AAUW) shows that the gap is smallest in New York, where median annual earnings for women are 89% as high as men’s. It’s biggest in Louisiana, where women earn only 70% as much as men. But even this gap looks small when you compare it to the differences between men’s and women’s pay in other countries. A 2017 report from the World Economic Forum (WEF) shows that worldwide, women earn an average of $12,000 per year compared to $21,000 for men — only 57% as much. Although sources differ on the actual size of the gender wage gap, there’s one thing everyone agrees on: it’s smaller than it used to be. A 2017 AAUW report contains a chart that tracks the size of the gender pay gap over the years from 1960 through 2016. It shows that in the 1960s and 1970s, women were only earning around $0.60 for every dollar earned by men. Women’s earnings rose swiftly in the 1980s and 1990s. By 2001, the gap had dropped to around $0.25 on the dollar. Based on those numbers, social scientists projected that women would be earning the same income as men by the year 2059. Unfortunately, progress since then has slowed. Between 2001 and 2016, women’s pay increased to only 80% of men’s. At the rate it’s rising now, the AAUW estimates, the gender pay gap won’t be closed until 2119. Women’s wages are rising faster in some parts of the country than others. The Status of Women in the States page run by the IWPR estimates that in 2038, Florida will be the first state to achieve gender pay parity, while Wyoming won’t have equal wages for women until 2153. The rate of improvement also varies by race. According to the IWPR, African-American women won’t earn the same wage as white men until 2124, and Hispanic women won’t catch up until 2233. However, even if the gender wage gap is taking a long time to close in many parts of this country, at least it’s narrowing. On a global scale, by contrast, the gap is growing wider. According to the WEF, global wages for both men and women are increasing, but they’re growing much faster for men. The WEF estimates that it will be over 200 years before women are the economic equals of men around the world. So, why is the gender wage gap so big in some cases and so small in others? The answer isn’t simple. There are several factors involved, including the fields men and women work in, the hours they work, time spent caring for children, education level, and outright discrimination against women. Men and women tend to choose different career paths. As the PayScale analysis shows, men are highly represented in fast-growing, high-paying fields like construction and software development, while women are much more likely to hold lower-paying jobs in teaching or human resources. The IWPR points out that roughly 4 out of 10 women work in traditionally female-dominated occupations, while nearly 5 out of 10 men work in male-dominated fields — and the male-dominated jobs tend to pay more for workers of the same skill level. Women and men choose different careers for a variety of reasons. For instance, women are often more attracted to social jobs that involve working with people, while men are more likely to prefer working with things. It’s also possible that men are more likely to choose a job based on the salary, while women care more about whether the work interests them. Finally, there’s the impact of social conditioning. Society tends to label certain jobs, such as auto repair, as “men’s work,” while jobs such as nursing or teaching are more likely to be considered “women’s work.” These attitudes make people more likely to be drawn, consciously or unconsciously, to work they think of as suitable for their gender. If there were more women currently working as mechanics and more men working as nurses, both women and men entering the workforce would probably be more open to these career paths. The difference between men’s and women’s career choices isn’t enough, by itself, to explain the gender wage gap. As the IWPR notes, women’s average earnings are less than men’s across the board, both in female-dominated fields and in male-dominated ones. Economist Claudia Goldin of Harvard University analyzed salaries for different careers and found that 85% of the gap is due to “gaps within occupations” — that is, men and women in the same field earning different amounts. One of the main reasons women earn less, Goldin found, is that they tend to work shorter hours. For one thing, women — especially those with children — are more likely to work only part-time. However, even among full-time workers, those who work more hours — say, 50 hours per week instead of 40 — often earn much more for each hour worked. This is especially true in fields such as business and finance, which have some of the highest overall salaries. Men in these fields are more likely than women to take on long hours, so they tend to earn more. According to the IWPR, finance has a bigger gender gap than any other field, with women earning only 56% of what their male colleagues make. Overall, higher-paying careers tend to have large gender gaps, while low-paying jobs have much smaller ones. However, there are exceptions to this rule. Goldin notes that in fields with more flexible work hours, such as science and technology, women are much more likely to earn similar wages to their male colleagues. For instance, Goldin notes that in pharmacy — one of the highest-paying fields for both women and men — there is “almost no penalty for low hours,” and the pay gap is very small. One of the main reasons women work shorter hours than men is that they tend to devote more time to caring for children. Some of them even drop out of the labor force temporarily to become stay-at-home moms. Goldin says this time spent away from the workplace is one of the biggest factors behind the gender wage gap, even though most women don’t spend that many years away from the job. However, even when working moms don’t take time off from work, they still see a drop in wages. Women with children tend to earn lower wages compared to colleagues who have no kids, a phenomenon known as the “mommy penalty.” According to a 2018 Newsweek story, when a woman becomes a mother, her income drops by an average of 4%, and this gap increases with every additional child. Thus, a woman with two children would earn, on average, 8% less than her childless female colleagues. Men, on the other hand, often get a “daddy bonus.” After they become fathers, their wages actually go up. A pair of charts drawn up by Business Insider shows that women with children typically earn $10 less per week than women without children, while men with children earn $152 more per week than men with none. A 2016 U.S. Senate report on the gender wage gap speculates that this happens because employers associate motherhood with “lower levels of commitment and professional competence.” They assume that moms are going to put their kids ahead of their work, so they aren’t willing to pay them as much. In support of this theory, Newsweek notes that women are less likely to get a job interview if their résumés imply that they have children. By contrast, when it comes to dads, employers make just the opposite assumption — that men with children are more settled, and thus more committed to their jobs. The “mommy penalty” creates a vicious circle for working moms. Child care costs can be very high, so it often makes sense for one parent to take time off to care for the kids — and since the mother is likely to be earning less, it’s easier to get by without her salary. The fact that so many women take time off to care for kids just gives employers more incentive to pay them less, and so the cycle continues. In the past, women often fared worse in the workplace because they had less education than men. In general, workers with more education earn higher salaries. Back when women were less likely to have college degrees than men, their lack of education cut them off from some of the highest-paid careers. However, since 1980, the education gap between men and women has all but disappeared. In fact, according to a 2013 Pew report, young women now earn college degrees at higher rates than young men. Pew reports that increasing education among women is one of the main reasons the wage gap is smaller today than it was 40 years ago. Unfortunately, while higher education has helped narrow the gap for women as a whole, women still earn less than equally educated men. In fact, the gap is slightly wider among more educated women. According to the AAUW report, in 2017, women who never finished high school earned an average of 77% as much as men with no high school diploma. By contrast, women with college degrees or better earned only 74% as much as college-educated men. Studies show that women tend to hit the glass ceiling fairly early in their career paths. According to the 2017 Women in the Workplace study by LeanIn.org and McKinsey & Company, women are 18% less likely than men to be promoted to management. 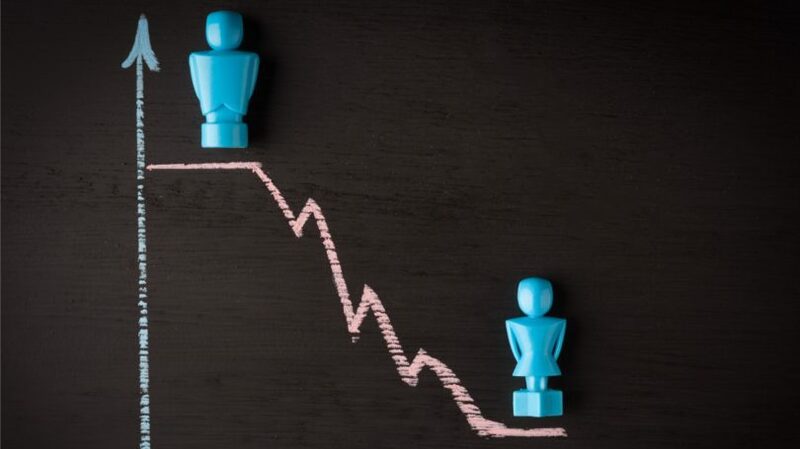 This gap between men and women only increases as you work your way up the corporate ladder. The study found that women make up only 34% of upper-level managers, 29% of vice presidents, 22% of senior vice presidents, and 21% of C-level executives. Moreover, the study says, women aren’t underrepresented at the top because they’re choosing to focus on family instead of their careers. Only 27% of women say they plan to leave their jobs in the next five years — roughly the same number as for men — and of those, only 2% say they’re dropping out of the workforce to start a family. Lower pay makes it harder for women, especially single women, to get ahead financially. Their lower earnings make it harder for them to save money for emergencies or retirement. But the impact of the gender wage gap isn’t limited to women. It also puts families, especially families headed by women, at risk and harms the economy as a whole. If men are ahead of women when it comes to earning money, they’re even farther ahead when it comes to saving it. A 2015 study by BMO Harris found that the average man has nearly twice as much stashed in an emergency fund as the average woman. A 2013 analysis by TurboTax found an even bigger difference: over the course of their lifetimes, men save more than three times as much money, on average, as women do. In a 2017 survey by GOBankingRates, over 40% of women said not saving enough was their biggest financial regret, as opposed to only 33% of men. At first glance, it’s surprising that this savings gap is so large. The problem isn’t that women aren’t good savers. 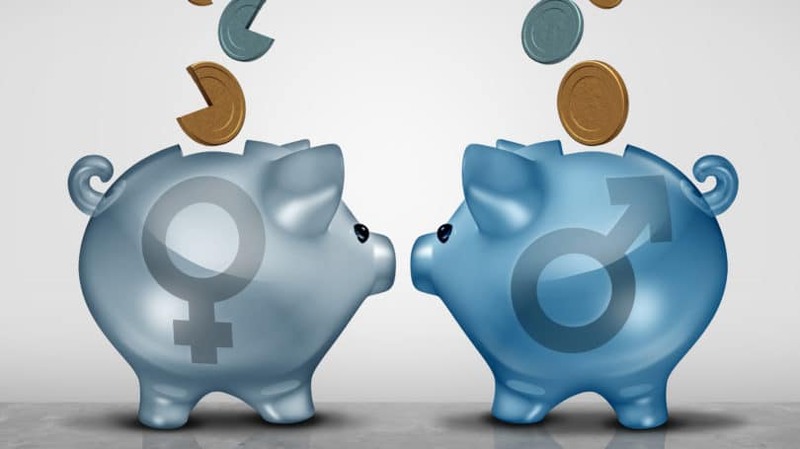 In fact, according to a 2017 study by Fidelity, women save a slightly larger percentage of their income than men do, both in their workplace retirement accounts and in outside accounts, such as IRAs. Of course, if a woman earns $80,000 a year and saves 9% of it, while a man earns $100,000 and saves only 8%, he’ll still end up with more in savings. But the difference is only around $800 a year, or about 11%. That’s not nearly enough to account for the vast differences in lifetime savings between the sexes. One possible reason for the size of the savings gap is that women are more likely to spend time outside the workforce. A woman could save just as much of her salary during the years she’s working as her male colleagues; however, if she takes five years off from work to raise kids, her savings during those years drops to zero. The timing of those years off is important too. Because of the power of compound interest, a little bit of savings early on can add up to a lot more money in the long run than larger savings later. So if a woman takes several years off while she’s fairly young — or simply earns less during those years because she’s working fewer hours — her savings will start to lag just when it matters most. By the time she returns to the workforce and starts earning and saving more, it’s too late to catch up. When it comes to retirement savings, the picture is a bit more complicated. In 2014, Bloomberg reported that women actually had more in their workplace retirement accounts than men of similar income. One reason is that women are more likely to participate in workplace retirement funds than their male colleagues. They also stash more money in those plans — between 6% and 12% more, on average, than men. Yet even though women are more diligent about saving for retirement, they still lag behind men when it comes to total savings. Women may save more than men who earn the same amount, but women also earn less on average, and they’re more likely to spend time outside the workforce with no access to a company savings plan. A 2015 BlackRock survey covered by CNBC found that American women between the ages of 55 and 64 had an average of $81,300 in retirement savings. Their male counterparts, by contrast, had saved $118,400 on average. This gap in retirement savings is doubly unfortunate because women tend to live longer than men. That means they have more years of retirement to fund than their male colleagues, and less money to fund them. Compounding the problem, women also tend to receive less in Social Security benefits, which are based on your average income during your working years. According to the AARP, in 2015, retired women received an average of $14,184 per year from Social Security, as opposed to $18,000 per year for men. All of these factors combined make women much more likely than men to live in poverty during their retirement years. A 2016 study by the National Institute on Retirement Security found that women over age 65 were 80% more likely to fall below the poverty line than men the same age. This problem only grows worse with increasing age. Women between the ages of 75 and 79 were three times as likely to be impoverished as men in the same age group. Anything that hurts women financially also hurts families. A 2016 IWPR report, “Breadwinner Mothers by Race/Ethnicity and State,” found that half of all American households with children under 18 rely heavily on a working mother’s earnings — either a single mother or a married, working mom who brings in at least 40% of the family’s income. Lower-income families, which are more likely to be headed by single mothers, depend even more on women’s earnings. According to a 2016 report by the Senate’s Joint Economic Committee, in families at the bottom 20% of the earnings scale, mothers provide an average of 89% of the family’s income. Women of color are also more likely to be responsible for supporting a family. According to the IWPR report, mothers are primary or major breadwinners in 81% of African-American households, 67% of Native American households, 60% of multiracial households, and 52% of Hispanic households. All of this means that when women earn lower wages than men, their families are likely to suffer for it. Their overall income is less, and their children are more likely to grow up in poverty. As a consequence, they’re more likely to suffer from poor health, have behavioral problems, do poorly in school, and ultimately grow up to be poor themselves. The IWPR calculates that equal pay for women would cut the poverty rate for working women by more than half, and the number of children with working mothers now living in poverty would fall by nearly half. Close to 26 million children in the United States would be better off if their mothers were earning the same wages as men. Since the 1960s, the number of working women in America has grown dramatically. According to a 2017 Brookings Institution report, only 37% of American women were in the workforce in 1962; by 2000, that number had grown to 61%. This increase in the size of the workforce has provided a big boost to the nation’s economy, which is now about $2 trillion larger than it would have been if women’s workforce participation had stayed at 1970 levels. However, the economy could benefit even more if women were earning the same wages as men. According to the IWPR, equal pay for women would increase the nation’s gross domestic product (GDP) by 2.8%, or $512.6 billion, per year. Higher pay could also attract more women into the workforce, improving the economy even further. A 2017 fact sheet from the International Monetary Fund shows that if women worked for pay at the same rates as men, GDP in the United States would increase by 5%. Increases in other countries would be even higher. According to McKinsey Global Institute, bringing women up to full parity with men in the labor force could increase the GDP of the entire world by $28 trillion, or 26%, by the year 2025. In the long term, the economic gains from equal pay could be even greater, because better wages for women also mean better conditions for families. Thus, higher wages for women today would mean more children escaping poverty, who would be more likely to grow up to be productive workers. Their earnings would improve the economy and provide tax dollars, which in turn would help support the nation’s growing number of retirees. Eventually, just about everyone in the country would benefit. It’s easy to see that fixing the gender wage gap could have big benefits for society as a whole. What’s less obvious, unfortunately, is how to fix it. Back in 1963, the United States passed the Equal Pay Act, which requires employers to pay men and women equal wages for equal work. But 55 years later, the wage gap still hovers at around 80%. Perhaps the Equal Pay Act could be better enforced, but even if it were, it would be unlikely to close the gender wage gap on its own. Since the causes of wage inequality are so complex, our society will probably have to tackle the problem from many different angles to fix it completely. Here are a few approaches that could help. According to Goldin’s research, one of the biggest reasons for the gender wage gap is that workers who put in long hours are paid disproportionately more than workers who put in fewer hours. 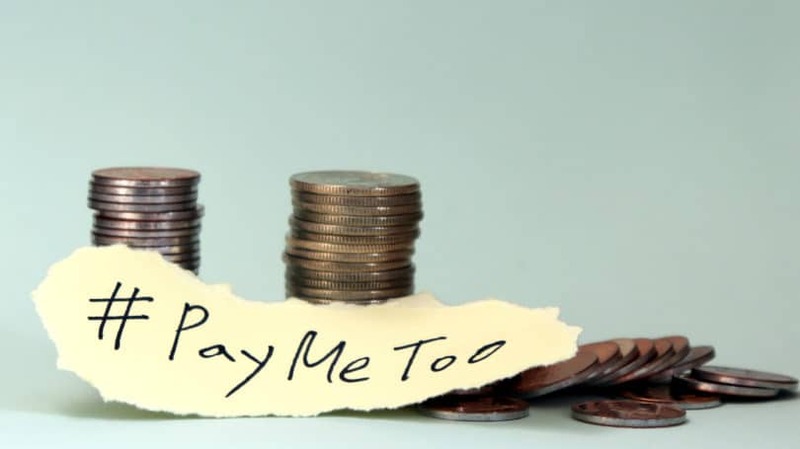 This type of pay structure, she finds, is most common in fields where people have to work one-on-one with clients and can’t hand them off to another employee. She gives the example of a lawyer at a large law firm. When a client calls up that law firm, they expect to be able to deal with their lawyer, the one who knows all about their case or their business. In this situation, two lawyers working 30 hours each per week can’t really take the place of one lawyer working 60 hours. Thus, a lawyer who is willing to put in 60 hours a week will be more than twice as valuable to the firm as one who can only work 30 hours. By contrast, in fields where one employee can easily substitute for another, such as pharmacy, pay between men and women is more likely to be equal. Most pharmacists work for large companies or hospitals, where all the information they need about drugs and patients is accessible via computer. When someone comes in to fill a prescription, any pharmacist can do the job as well as any other. Two pharmacists working 30-hour weeks each are just as good as one working 60 hours. Goldin believes one key to fixing the gender wage gap is for more workplaces to be organized like pharmacies, rather than law offices. The bad news is that this isn’t the kind of change that can really be enforced through legislation. The good news, according to Goldin, is that the workplace is already starting to evolve in this direction on its own. As she points out in an interview on the Freakonomics podcast, workplaces in Silicon Valley are already putting more stress on work-life balance, and she believes this idea will start to spread to other industries as workers value it more. More flexibility could be a big help to all parents — fathers as well as mothers. The Status of Women page points out that, while few families have stay-at-home dads, married fathers are spending more time on child care these days than they did in the past. Flexible hours would make it easier for fathers who want to play a bigger role in bringing up their kids to do so, without fearing that their income will take a big hit as a result. There will always be some professions in which it isn’t possible for employees to work in teams and trade off clients. In those fields, women will only earn the same wages as men if they’re able to work the same hours and take less time off. And in order to do that, they need more and better options for child care. Full-time child care is extremely expensive. According to Care.com, in 2018, keeping one child in day care costs an average of $211 a week, which amounts to more than $10,900 per year. Once kids start school, they no longer need full-day care, but someone still has to look after them when school lets out in the mid-afternoon. That means families must either pay for after-school care or have one parent, usually Mom, take time off from work. Making preschool and after-school programs available at a reasonable price would make it much easier for families to get by with two working parents. There are several ways the government can help with this, including providing child care subsidies for low-income parents and increasing the Child and Dependent Care Tax Credit. It can also increase funding for early education programs, such as the Head Start pre-kindergarten program, which has the added benefit of preparing children for school and improving their odds of success. Another option, suggested by Goldin in her Freakonomics interview, is to change the structure of the school year. Currently, most public schools let kids out between 2pm and 3pm and are closed all summer. If schools kept the same hours as most workplaces — from 9am to 5pm, year-round — mothers wouldn’t need to take as much time off from work for child care. Goldin acknowledges that this is an expensive solution, but she argues it’s one that will also help children by improving their learning. Getting the government to provide affordable child care options is likely to be a big challenge. Programs like these are expensive, and many taxpayers aren’t willing to pay for them. However, there’s one thing the government can do at less cost: pass laws to make workplaces more family-friendly. These laws would protect parents who take time off to care for their children from being fired or losing too much income as a result. Paid Sick Days. The United States is one of the few high-income countries in the world that doesn’t require businesses to provide paid sick leave for their employees. Workers who take a day off because of illness or to care for a sick child often lose a day’s income and, in some cases, even lose their jobs. The Healthy Families Act, introduced in Congress in March 2017, seeks to change that. This law would require any business with at least 15 employees to allow them to earn seven paid sick days per year, which they could use for their own illness or a family member’s. Smaller businesses would also have to allow their employees to take sick leave, but would not be required to pay for it. Paid Parental Leave. As Politifact confirms, the United States is also the only developed country in the world that doesn’t guarantee any amount of paid maternity leave. The Family and Medical Leave Act requires employers with more than 50 workers to grant parents up to 12 weeks off from work to care for a newborn baby, but the leave can be unpaid. The FAMILY Act, introduced in 2017, would amend this law to guarantee workers up to 12 weeks of partial income when they take time off from work for pregnancy, childbirth, or caring for a newborn. Workers could also get partially paid leave to care for a family member with a serious health condition. Preventing Pregnancy Discrimination. The Pregnancy Discrimination Act of 1978 forbids employers to discriminate against workers because they’re pregnant or have recently given birth. However, in spite of this law, nearly 31,000 workers charged their employers with pregnancy discrimination between 2010 and 2015, according to the NPWF. Many of these women charged that their employers refused to make “reasonable accommodations” to allow them to keep working during pregnancy, such as allowing them to sit down during a work shift or carry a water bottle. The Pregnant Workers Fairness Act would clarify the protections required for pregnant workers and prevent retaliation or threats against any worker who requests them. Protecting Caregivers. Under current law, it’s illegal for employers to discriminate against workers because they are caregivers. The U.S. Equal Employment Opportunity Commission (EEOC) explains that employers can’t fire or refuse to hire someone, either female or male, because they have kids, might have kids in the future, or have other caregiving responsibilities that don’t actually prevent them from doing their jobs. However, some states and cities have passed laws that provide further protection for caregivers. For instance, according to Status of Women in the States, both Vermont and San Francisco guarantee workers the right to ask for flexible work arrangements. The employer may not be able to grant them, but it must at least consider the request and not retaliate against the worker for asking. Right now, women typically bear the brunt of caring for children or elderly parents. If someone needs to help the kids with their homework, stay home with a sick child, or take Grandma to the doctor’s office, it’s usually Mom who has to do it. That means Mom needs more flexible work hours, which often forces her into a job with lower pay. One way to reduce this impact on mothers would be to have men step up and take on more of the responsibility for child care. The Status of Women homepage shows that, while fathers are spending more time on child care than they once did, mothers still spend the most time on family tasks, while fathers spend the most time on paid work. Dividing child care tasks more equally between parents would make it easier for women with young children to keep working. Then they wouldn’t lose several earning years near the start of their working lives, and their lifetime earnings and savings would be more likely to keep pace with men’s. One thing that could encourage dads to take a bigger role in child care is paid paternity leave. In the United States, paid family leave isn’t universal for moms, but it’s next to nonexistent for dads. According to a 2017 report from Paid Leave for the United States (PL+US), eight of the 44 top companies in the country offer no paid leave at all for fathers or adoptive parents, and nine more offer it to only their higher-ranking workers. In Sweden, by contrast, new fathers get two months of paid paternity leave. Aside from helping women return to work, paid paternity leave is good for families. The PL+US report cites studies showing that fathers who take paternity leave stay more involved in their children’s lives as they grow up, and those children go on to do better in school. And studies suggest it can be good for companies that offer it, as well. In California, which offers six weeks of leave with partial pay for all new parents, employers say the program has had either no effect or a positive effect on workers’ productivity, morale, turnover, and performance, according to a report by the Center for Economic and Policy Research. In the long term, having more men involved in child-rearing could help put an end to the mommy penalty. Right now, companies penalize women and reward men who have kids, because they assume that the mother will be the one to take time off to care for the child. If more dads start taking family time, that assumption will shift. Changing gender roles in the workplace, as well as the home, can also play a role in closing the gender wage gap. Because at least part of the gap is due to differences in career choices, having more women break into male-dominated fields, and vice versa, will help narrow it. The IWPR notes that a lot of this “gender integration” was going on during the 1980s and 1990s, the period when the wage gap was narrowing most quickly. After the 1990s, progress toward gender integration slowed, as did progress toward closing the pay gap. There are several ways to promote gender integration in the workplace. The IWPR suggests that “better training and career counseling” is one important factor. Career counselors can encourage more women to go into fields that are now seen as “men’s work,” such as auto repair, and job training can help prepare them to succeed in these fields. Another part of the picture is attracting more men to female-dominated, or “pink-collar,” fields, such as education, child care, and nursing. As a 2017 New York Times article notes, these are some of the fastest-growing fields in the country, yet men often shy away from these jobs — partly because they’re seen as low-status “women’s work,” but also because they don’t pay as much as the blue-collar jobs they’re used to. However, these fields offer better job security and more potential for long-term wage growth than many blue-collar jobs. The article goes on to discuss ways of luring more men to these fields. These include technical training, especially for men without college degrees, and efforts to rebrand the jobs as more manly. As more men go into these fields, the perception of them as “women’s work” will start to fade, making these jobs seem like normal options for men. Women, especially women of color, are much more likely than men to work in low-wage jobs. Thus, one way to increase the earnings of women as a group is to raise the federal minimum wage. This would have the added benefits of increasing income for families that rely on a mother’s earnings, reducing poverty, and helping to narrow the wage gap between white workers and people of color. The most recent proposal to increase the minimum wage is the Raise the Wage Act, introduced in Congress in May 2017. This bill would raise the minimum wage gradually over a seven-year period until it reached $15 an hour, after which it would be tied to inflation. It would also increase the base wage for tipped workers, which has been stuck at $2.13 per hour since 1991, to $4.25 per hour immediately and then gradually up to $12.25 per hour. In some states, the minimum wage is already higher than the federal minimum of $7.25 per hour. Interestingly, the states with the highest minimum wages — including California, New York, Vermont, and the District of Columbia — are among those with the smallest wage gaps, according to the AAUW map. However, there are some notable exceptions to this rule, such as Washington, where the minimum wage is $11.50 per hour and the gender wage gap is larger than average. This suggests that, while raising the minimum wage could help narrow the gender wage gap, it won’t be enough to close it. A 2018 IWPR report found that women who belong to a labor union earn roughly $219, or 30%, more per week than non-unionized women. This gain is particularly great for women of color. Hispanic women, who have the lowest earnings overall, gain an average of $264 per week by belonging to a union — a 47% increase. In addition to their higher earnings, female union members are more likely to have access to benefits, such as health insurance. Only about 51% of non-unionized women receive health insurance from their employers. For women in unions, that figure rises to 77%. 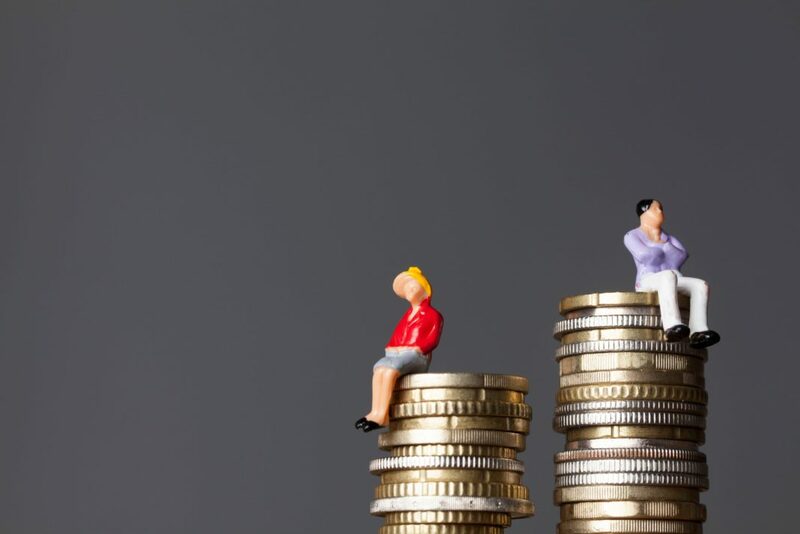 The IWPR argues that the government could do a lot to improve women’s earnings by protecting workers’ rights to form unions and bargain with their employers. Currently, more than half of U.S. states have “right to work” laws that make it illegal for any employer to require its workers to be union members. Changing these laws would strengthen unions, making it easier for women to find unionized jobs with better wages and benefits. Fixing the gender wage gap will take much more than ensuring equal pay for equal work. It will require far-reaching changes to society as a whole. Closing the gap will mean changing either the structure of the workplace, the way we pay for child care, our views about gender roles — or all of the above. These changes will be difficult, but they’re worth working for. They have the potential to raise whole families out of poverty and strengthen our entire economy. In the process, they could give both men and women more choices about careers, the hours they work, and the ways they balance their work and family lives. That’s a clear win for both sexes. How has the gender wage gap affected your life? What changes would you like to see made?